Creamy Mushroom Soup is flavorful and filling with 3 different kinds of mushrooms AND of course we like to make it healthier around here too! Creamy Mushroom Soup sometimes a creamy bowl of hot soup is the best medicine for those January winter nights! Although, I have to admit that our January has been more like April weather- 55 degrees and sunshine is SO strange for us. But we are “supposed” to be getting snow this weekend, so it’s time to start pulling out those stock pots. Creamy Mushroom Soup is one of the many delicious vegetarian soups we love. . . you might also enjoy our Greek Fasolatha Soup, Roasted Cauliflower Cheese Soup with Grilled Cheese Croutons, and French Onion Soup with Baguette! 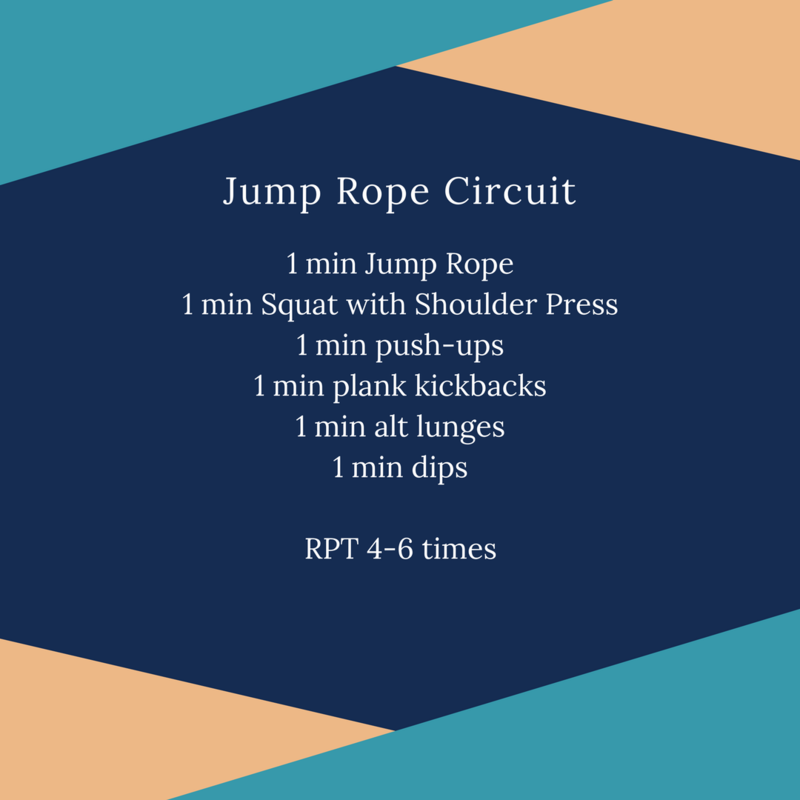 Miss Nichole’s Jump Rope Circuit. . . There are so many different styles of working out. I have get asked which is the best, well the best is which ever style you are going to do. I am one that likes to mix it up with a few different approaches, it helps me from getting bored. One style of workout that I incorporate often into my workout is circuit training. What is circuit training? Circuit training is simply a workout style in which you are constantly moving from movement to movement. When I use circuit training in my classes we set up stations. At each station we are there for 30-60 seconds, never long enough to get bored. This is generally a full body workout with plenty of cardio opportunities mixed in as well. The biggest benefit for me is the constant change. It is a great workout when I am not really in the mood to workout or when there isn’t one thing that I am really wanting to work. It is also great when I am short on time, mixing in cardio and weights means that I am not trying to fit in both of them separately. With all that being said, let’s do it! 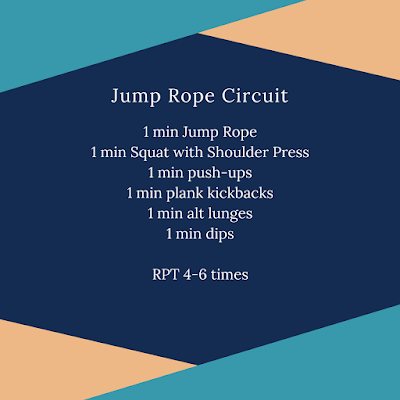 You will need a jump rope and dumbbells for this workout. Creamy Mushroom Soup is a comfy-cozy, mouth-watering delight! We hope you’ll enjoy some this weekend. In heavy bottom stock pot combine water, sherry, mushroom stems, 1 chopped red onion, carrots, celery, bay leaves, and peppercorns; simmer until reduced by ⅓ (approx 20 minutes), strain; set aside. Cut mushroom caps into ¼ inch slices. In stock pot melt butter, saute thinly slice red onion for 2 minutes. Add mushroom caps; cook 2-3 minutes or until tender. Add brandy; stir and cook for 1 minute. Add reserved broth, mushroom base, worchershire, sea salt, and pepper; bring to simmer. Thicken with arrowroot slurry by slowly whisking into simmering soup. In a small bowl slowly whisk together half and half and 1 cup of soup; stirring add back into pot. To serve: each bowl of soup garnished with chopped chives or parsley.